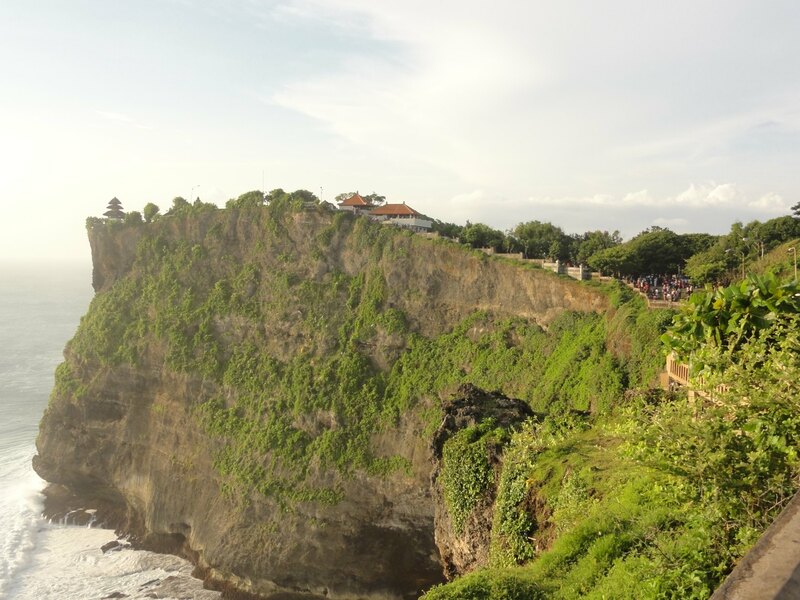 This ancient place located on the cliffs is known for its breathtaking views. 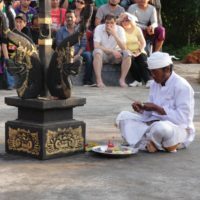 Although the temple is closed for public, this place is a must see in Bali. 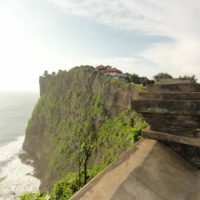 To access the cliffs, you walk through a road from the main parking place. 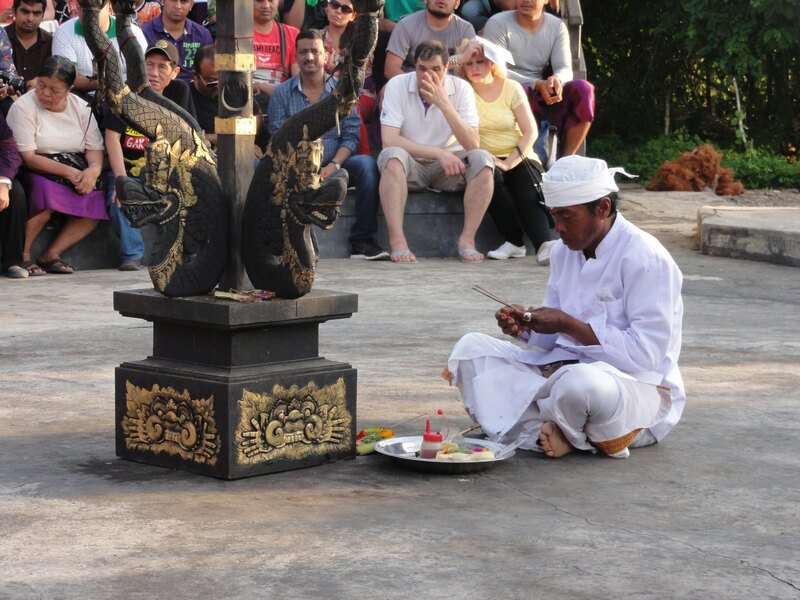 Here, beware of monkeys, who are everywhere and they will try steal something from you – especially your glasses. 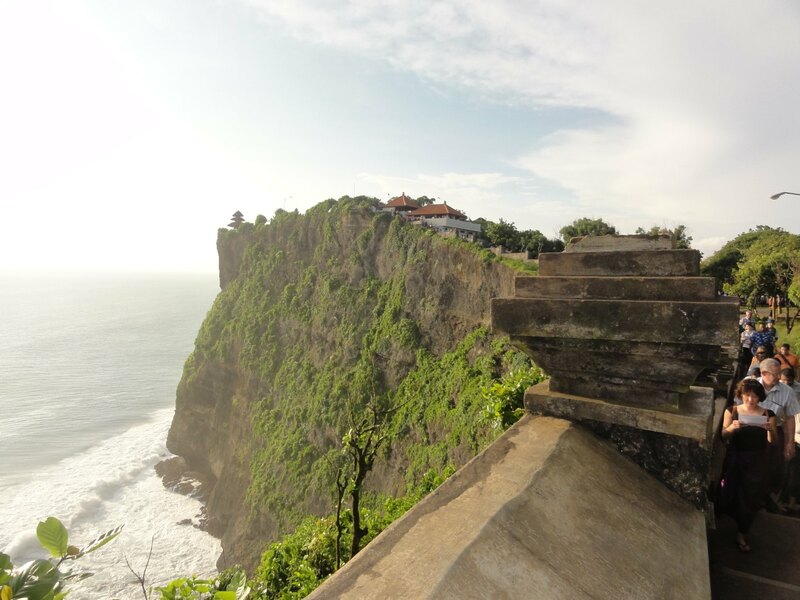 The temple is located 90 metres above the Indian Ocean. 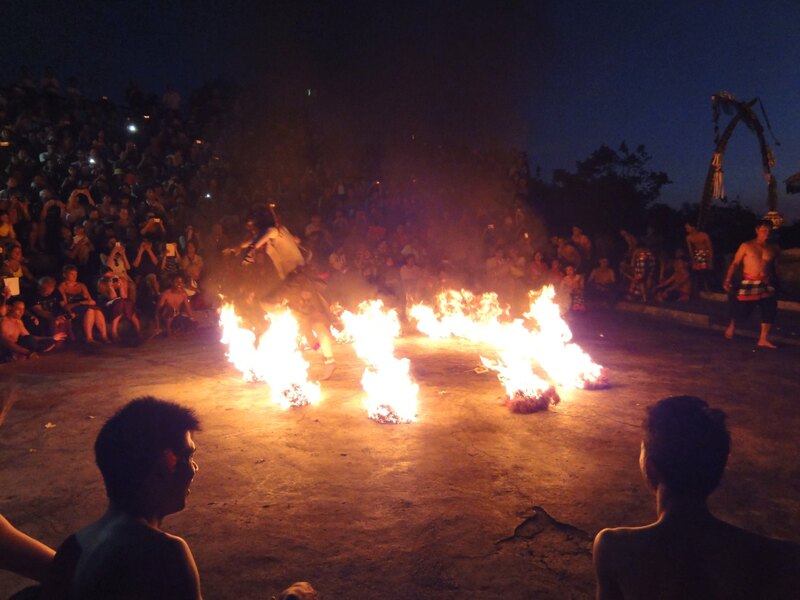 After making some pictures head towards the lower end where, at the sunset, the magic Kecak dance takes place. 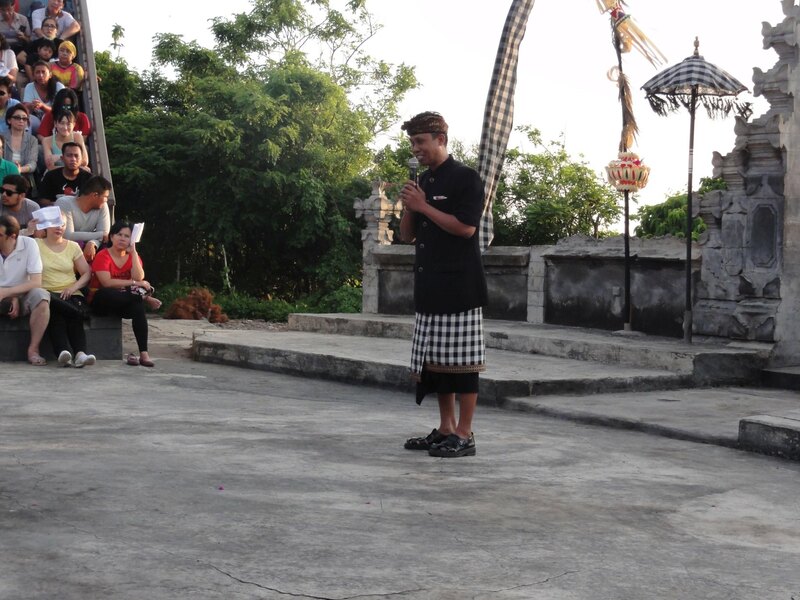 Played with local men and women, this is a lifetime experience. 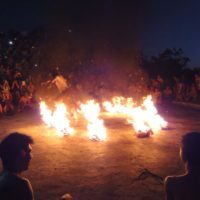 The kecak dance at the sunset is something I will never forget. 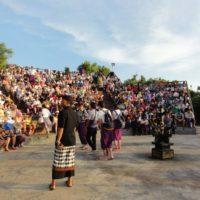 There are many places in Bali to see traditional crafts and arts, however, Uluwatu temple is really special because of its atmosphere. 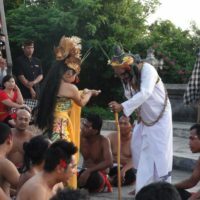 The kecak dance starts here at the sunset and the performance continues until dark when fires are lit as part of the dance. 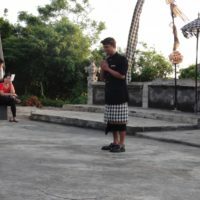 See some pictures below or watch the short video. 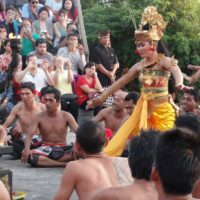 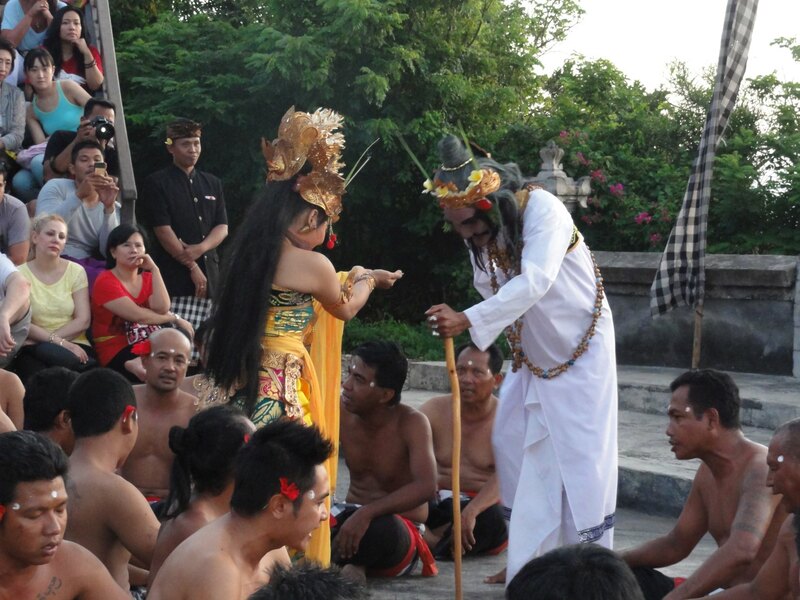 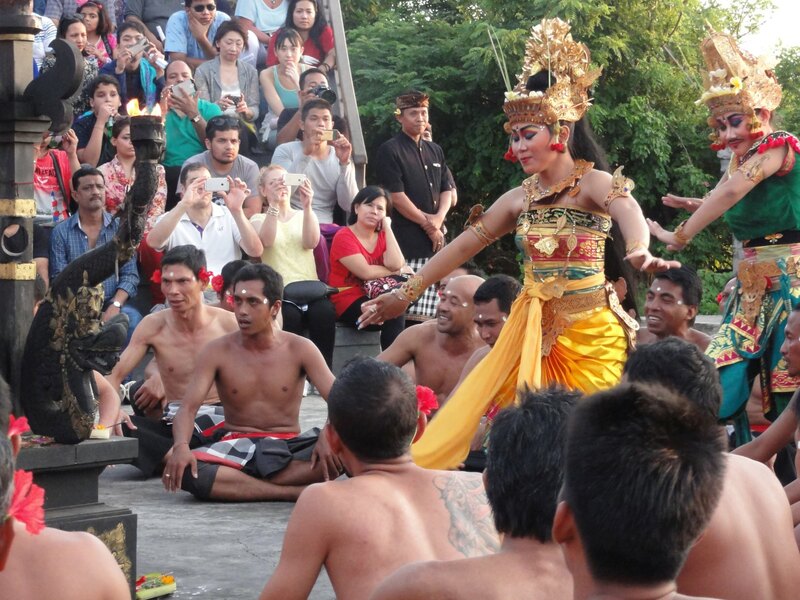 This kecak dance is highly valued by Tripadvisor. 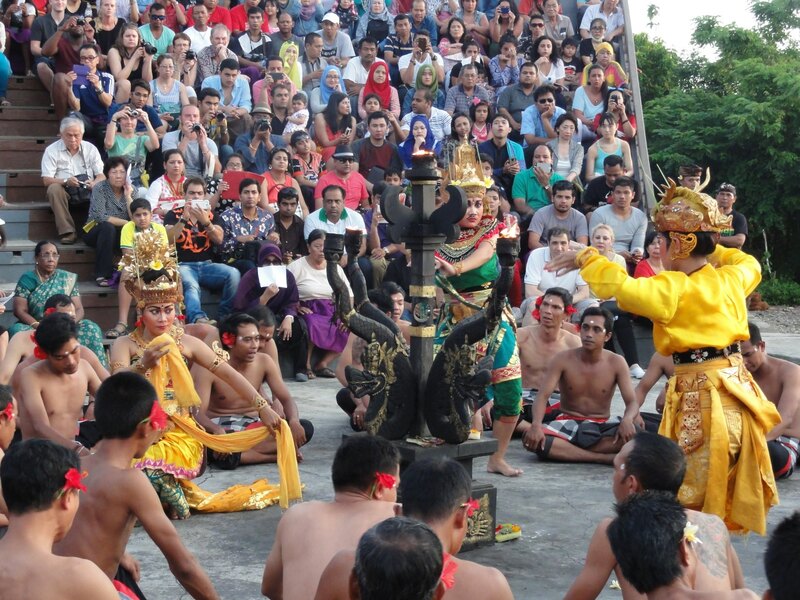 It is based on a Ramayana epic story. 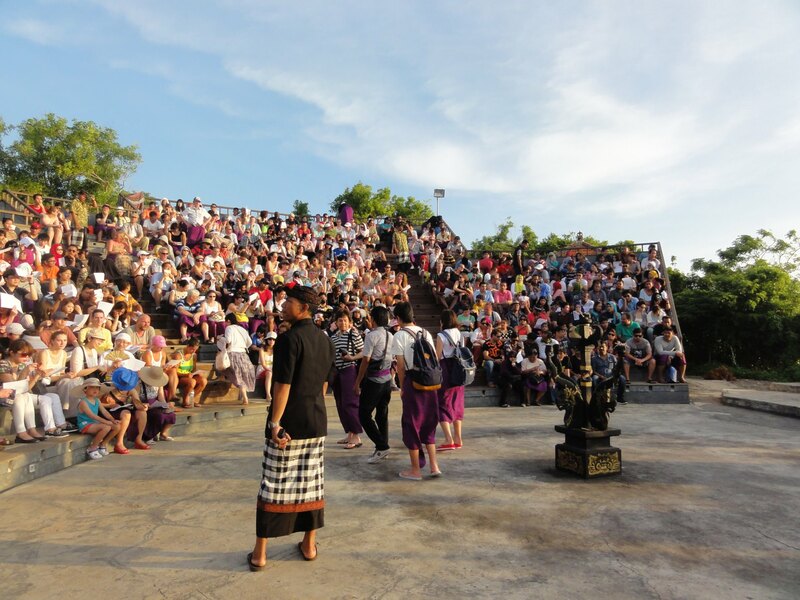 You do not need to book your place upfront, the tickets are sold on the spot. 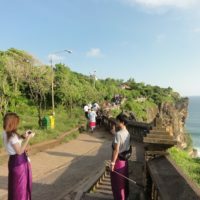 As we recommend in our article about Pantai Pandawa, it is very nice to enjoy your day at the beach and afterwards head to Uluwatu Temple. 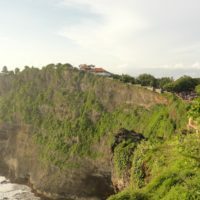 Just let the driver know the name, he knows the place. 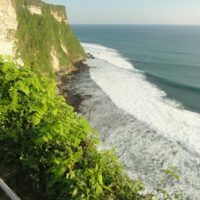 From Pantai Pandawa it should take you about half an hour, if you go directly from Yoma Villas, the trip can take 1.5 hrs. 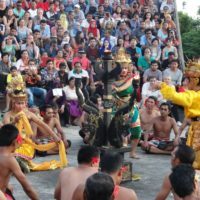 Learn more about our transport deals around Bali. 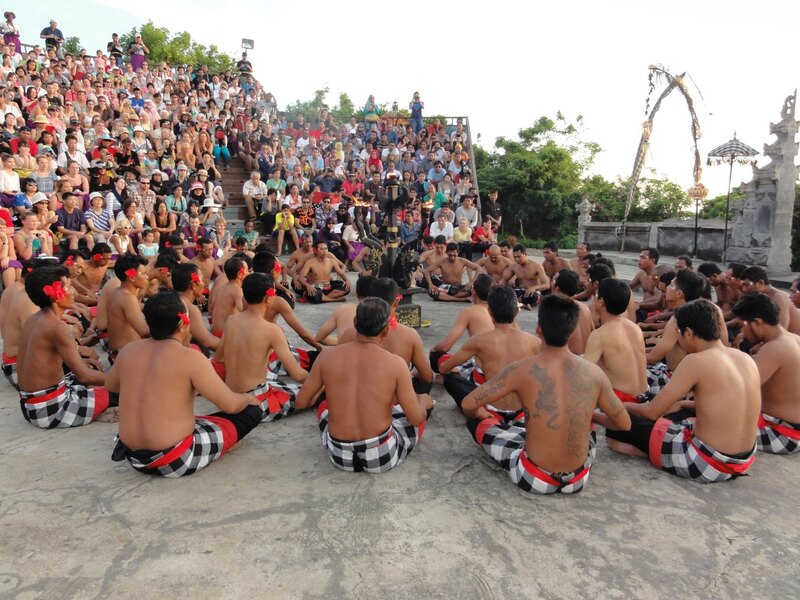 Inspire yourself and experience Bali with us! 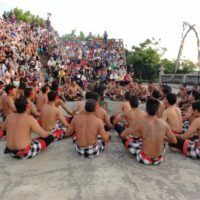 The team of Yoma Villas Bali Canggu has prepared travel tips for you along with the important information about getting to the venue and other helpful hints for your journeys.